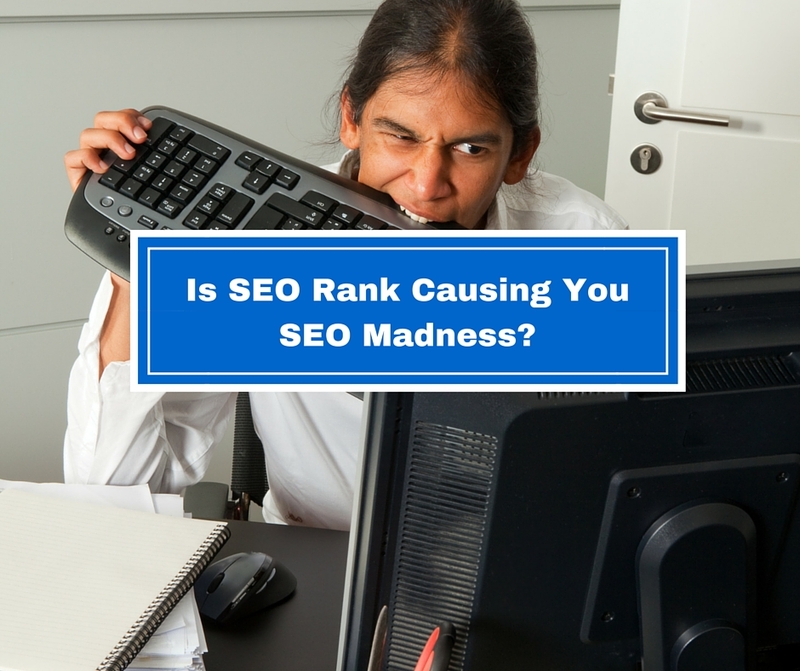 Is SEO Rank Causing You To Have SEO Madness? 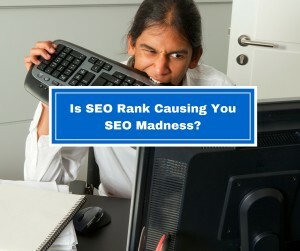 Is learning SEO Rank and tweaking your blog causing you to have SEO Madness? Well, today we are going to change all of that for you and rid you of Madness. How many of you have started blogging and have been told that learning SEO and being concerned with your SEO Rank is critical if you are going to get any kind of traffic. Well, if you have heard that I’m sorry to say that they are correct. The good news is you don’t have to have a Ph.D. in SEO to get the results that you want and need. SEO Rank is like anything else in your life that you are learning for the first time. If you remove all the mystery behind it and break it down into small bite size chunks it won’t seem so daunting to you. SEO Rank is really all about keywords and where your post or site shows up on the search engines when someone types in the keyword phrase. The closer to the top of the page your post ends up the better. I can tell that a very low percentage of people go past the first or second page. So naturally the better your SEO Rank the higher on the page you will end up. What Are Keywords When It Comes To SEO Rank? Keywords are what drive what people are searching for. A keyword can be exactly that, a word or it can be a phrase. The critical thing when it comes to keywords is to choose an appropriate one and then optimize it to give you the best rank you can. Are There SEO Tools That I Can Use? There are a lot of tools out there. There are many tools that you can purchase that work well but have a steep learning curve. The tool that I believe will give you what you need and won’t take but a few minutes to learn is Goggle’s Keyword Research Planner. You will need to have an AdWords account, but that is free to create if you don’t already have one. From there it’s pretty easy to use. What SEO Plugin To Use For Your Blog? I will tell you that again there are a number of plugins available for WordPress that will do a good job. The one that I would recommend though is Yoast SEO Plugin. Most of the top internet marketers and bloggers out there use this one and you can download the standard setup here and you will be ready to go. So what do you do now? The first thing that I do with every post is to formulate what I’m going to write about and what some good keywords might be. The next step is to plug my keyword into the keyword planner see what it looks like. I may find that I need to tweak my keywords a bit and that’s okay. Now I write my post making sure I fill out all the information for that post in the Yoast SEO are in the post. How Would You Like The Training From a 7 Figure Earner On SEO? I have a FREE Video from one of the leading experts on SEO Rank, Rob Fore. He will teach you all the in’s and out’s of ranking on the 1st page of google in this video. INSTANT ACCESS to 87 MIN WEBINAR – If you want to clear the shroud of confusion when it comes to SEO then you need this Free Video! If this post, Is SEO Rank Causing You To Have SEO Madness, has helped you please share and comment below. Thank you so much for that Timothy…. Love this post. Definitely some great tips to help get me ranking higher for other keywords! Rob Fore is so good with SEO what I would not get to be able to pick his brain for a few hours with him right in the very same room telling me do this and this and I am recording it! Great post Ron and nuggets can follow!